Dynamic Magnetic Resonance is a highly sophisticated technique which permits the visualization of the joint being examined during movement. It is able of showing the voluntary and involuntary movements of anatomical components, allowing to gather not only morphological, but also functional information, which is useful for a better and more precise diagnosis. The Dynamic MR imaging technique is used as a diagnostic tool to complement a preliminary static investigation in the recumbent or upright position, as an essential first step for a global and more accurate visualization of the articular structures. It is performed at the request of a Medical Specialist on the basis of a suspected or confirmed clinical diagnosis. Based on various images acquired in the static phase, a strategic point is chosen where the images can be acquired for the dynamic scan. The distinctive feature of this dynamic sequence virtually consists in repeatedly scanning images of the chosen layer: the figure shows the centering of the dynamic acquisition, with no volumetric visualization of the joint. – movement performed in a continuous manner and as slowly as possible (the slower the movement, the fewer the artifacts created on the images and therefore on the dynamic sequence, thereby allowing the collection of an adequate amount of information and images of very good quality). 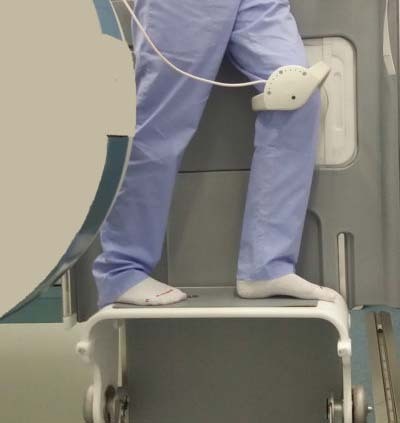 Thanks to the visualization of images acquired in real time, the patient can be guided in performing the movement, resulting in optimal execution of the examination. By using a dynamic MRI as a complimentary diagnostic tool, it is possible to identify clinically misunderstood or missed causes of pathological alterations, which would otherwise not be visible with conventional MRI scans. Therefore, this technique offers a new approach to osteo-articular diagnosis and a functional evaluation of active and passive stabilizing structures. 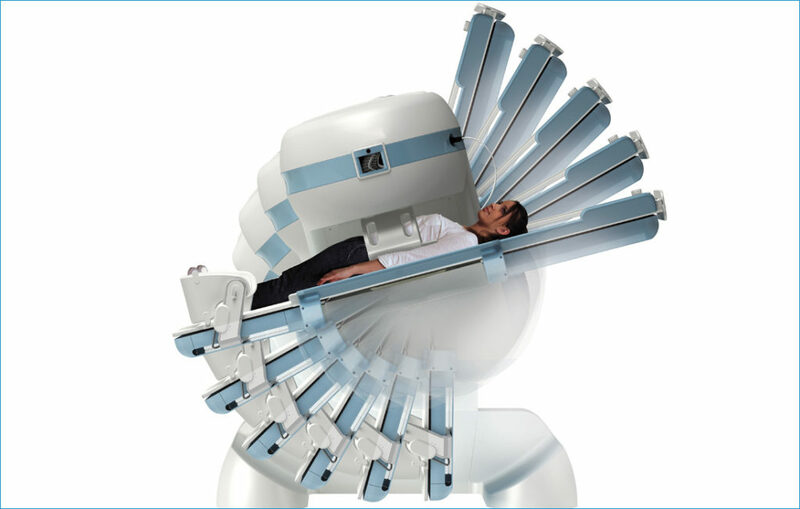 The patient takes an active role in the examination through his or her participation in the functional scan.